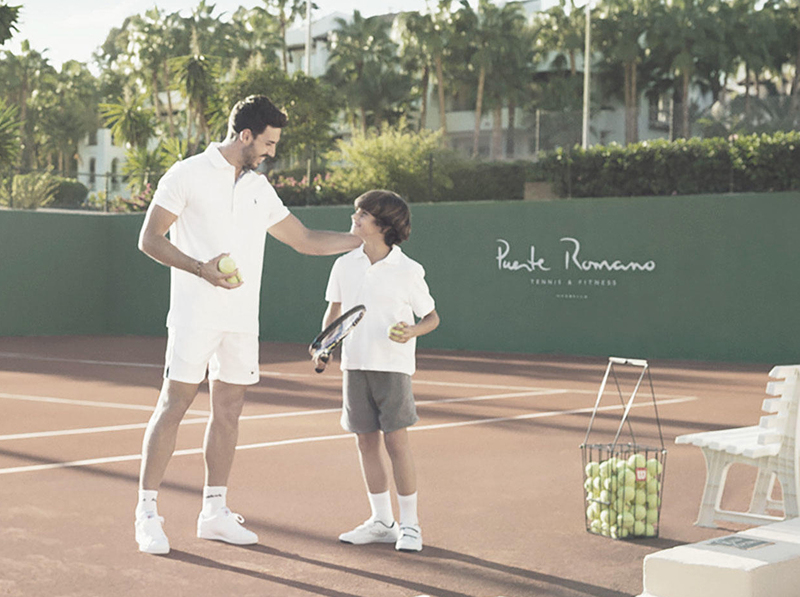 Our Tennis Club offers different activities for children staying at our Puente Romano hotel, in Marbella. We offer children between 8 and 14 years old an activity that combines various sports. The Multisport, from 12.00h to 17.00h, includes activities out on the beach, football, basketball, volleyball, mini golf or ping pong among others. The programme also includes lunch at the Lagom restaurant in the Tennis Club. *The campus starts on Monday and goes from Monday through to Friday on weekely basis. I give permission for my child to participate in water based activities run by the Tennis Club at the beach in Puente Romano Hotel, Marbella. I authorize the Tennis Club staff members to take the appropriate medical action in event of an accident or injury. I authorize Puente Romano Hotel, Marbella the use of images of my child for commercial proposals. Images not transferred to third parties. In the event that a child arrives late, the adult can take them to the area where the group is at that time. *If necessary, the programme may be changed at the discretion of the monitor, though they will not be major changes. Cursos semanales con plazas limitadas sólo disponibles con reserva previa. Será necesario cumplimentar una ficha de inscripción con todos los datos solicitados. El pago se debe realizar en el momento de la reserva. No se admiten cambios ni anulaciones con menos de 7 días de antelación al inicio del curso.